‘Stereoselective synthesis of molecular square and granny knots’, D A Leigh, L Pirvu and F Schaufelberger, J Am Chem Soc, 141, 6054–6059 (2019). 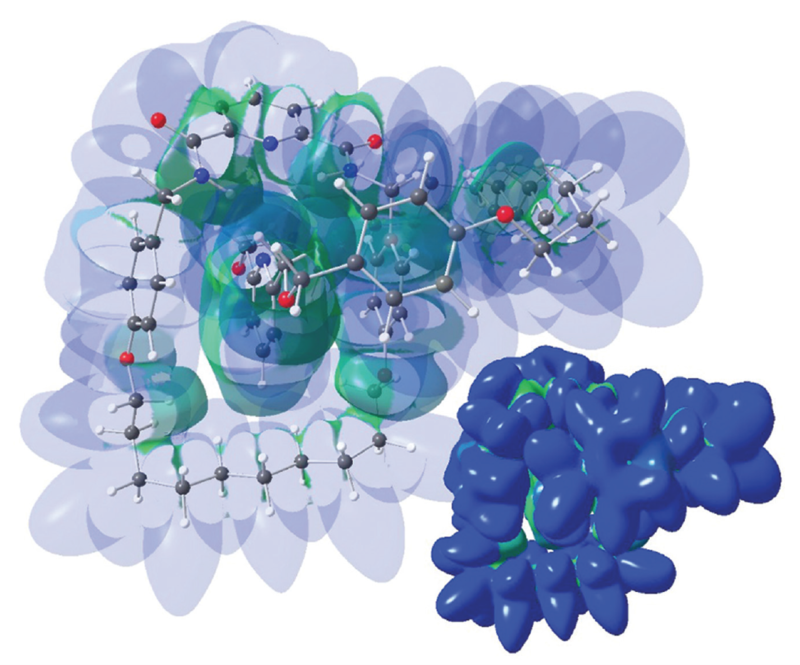 ‘Coordination chemistry of a molecular pentafoil knot’, L Zhang, A J Stephens, J-F Lemonnier, L Pirvu, I J Vitorica-Yrezabal, C J Robinson and D A Leigh, J Am Chem Soc, 141, 3952-3958 (2019). 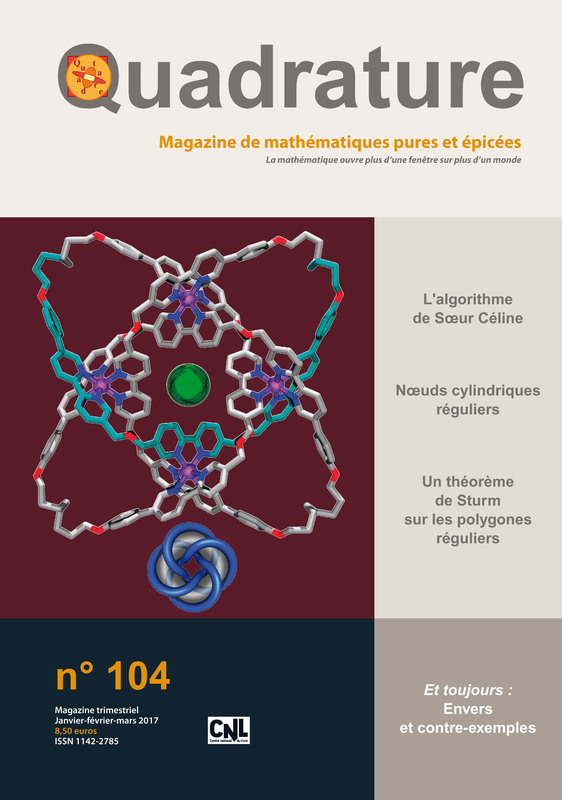 ‘Probing the dynamics of imine-based pentafoil knot and pentameric circular helicate assembly’, J-F Ayme, J E Beves, C J Campbell and D A Leigh, J Am Chem Soc, 141, 3605-3612 (2019). 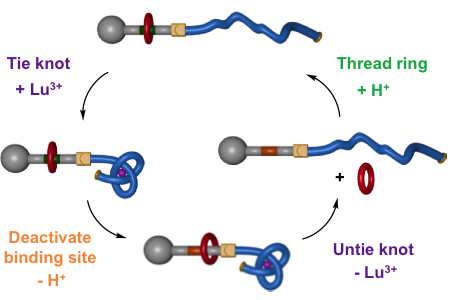 ‘Effects of knot tightness at the molecular level’, L Zhang, J-F Lemonnier, A Acocella, M Calvaresi, F Zerbetto and D A Leigh, Proc Natl Acad Sci USA, 116, 2452-2457 (2019). ‘Analysis of two catenanes based on electron densities from invariom refinement and results from DFT calculations’, P Luger, B Dittrich, S Mebs, A M Z Slawin and D A Leigh, Z. Naturforsch., 73b, 677-687 (2018). 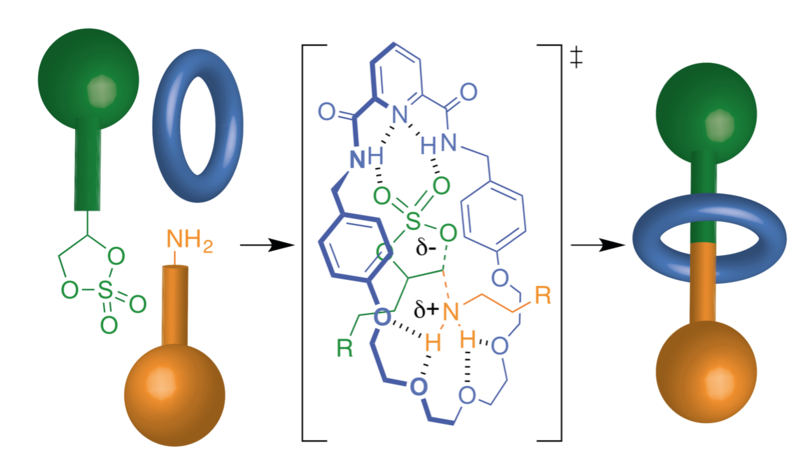 ‘Stereoselective synthesis of a composite knot with nine crossings’, L Zhang, A J Stephens, A L Nussbaumer, J-F Lemonnier, P Jurček, I J Vitorica-Yrezabal and D A Leigh, Nature Chem, 10, 1083-1088 (2018). Featured on the cover of Nat Chem. 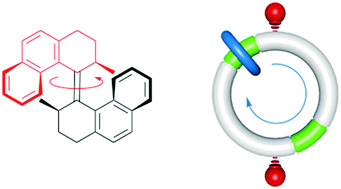 ‘A six-crossing doubly interlocked catenane with twisted rings, and a molecular granny knot’, J J Danon, D A Leigh, S Pisano, A Valero and I J Vitorica-Yrezabal, Angew Chem Int Ed, 57, 13833-13837 (2018). 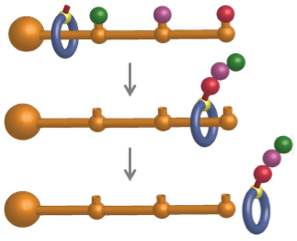 ‘Comment on “Coordination-Driven Self-Assembly of a Molecular Knot Comprising Sixteen Crossings"’, D A Leigh, J-F Lemonnier and S L Woltering, Angew Chem Int Ed, 57, 12212-12214 (2018). ‘Spontaneous assembly of rotaxanes from a primary amine, crown ether and electrophile’, S D P Fielden, D A Leigh, C T McTernan, B Pérez-Saavedra and I J Vitorica-Yrezabal, J Am Chem Soc, 140, 6049-6052 (2018). 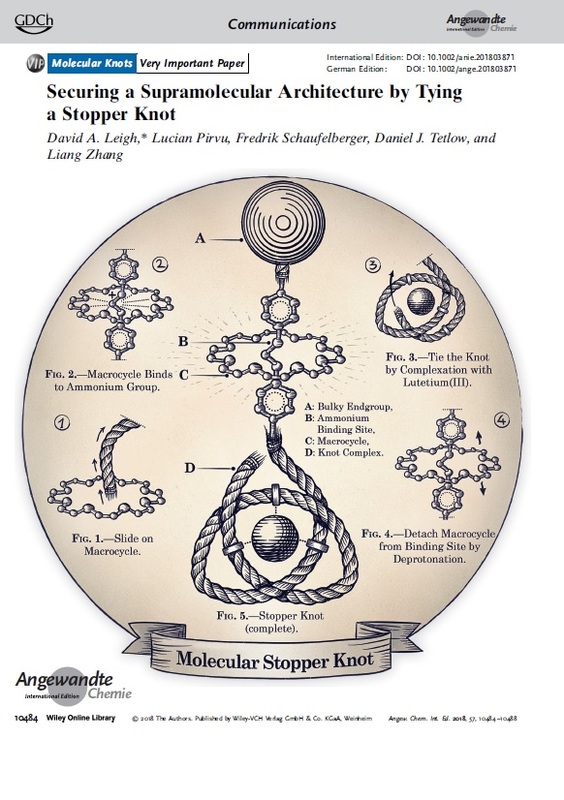 ‘Securing a supramolecular architecture by tying a stopper knot’, D A Leigh, L Pirvu, F Schaufelberger, D J Tetlow and L Zhang, Angew Chem Int Ed, 57, 10484-10488 (2018). [VIP paper] Featured as the Frontispiece (image credit: Jo Richers; www.jorichers.com). 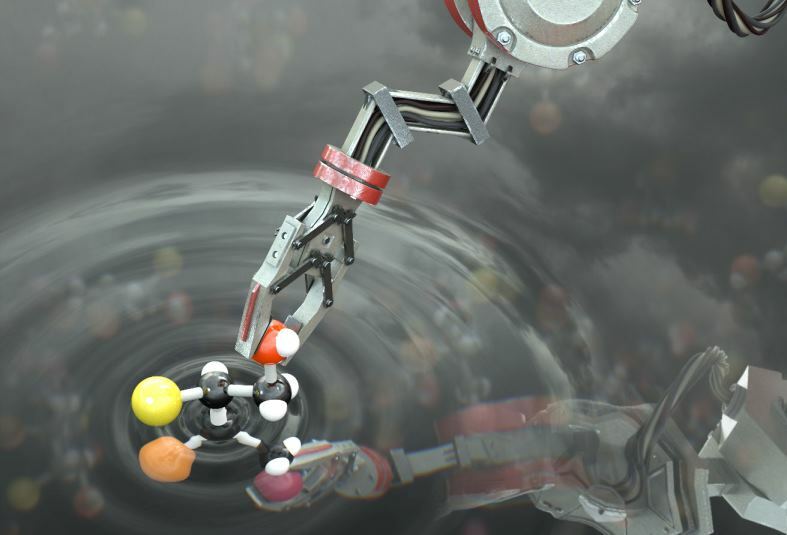 ‘An artificial molecular machine that builds an asymmetric catalyst’, G De Bo, M A Y Gall, S Kuschel, J De Winter, P Gerbaux and D A Leigh, Nature Nanotech, 13, 381-385 (2018). ‘A molecular trefoil knot from a trimeric circular helicate’, L Zhang, D P August, J Zhong, G F S Whitehead, I J Vitorica-Yrezabal and D A Leigh, J Am Chem Soc, 140, 4982-4985 (2018). ‘Molecular machines with bio-inspired mechanisms’, L Zhang, V Marcos and D A Leigh, Proc Natl Acad Sci USA, 115, 9397-9404 (2018). ‘Transient two-dimensional vibrational spectroscopy of an operating molecular machine’, M R Panman, C N van Dijk, A Huerta-Viga, H J Sanders, B H Bakker, D A Leigh, A M Brouwer, W J Buma and S Woutersen, Nature Commun, 8, 2206 (2017). 'Rotary and linear molecular motors driven by pulses of a chemical fuel’, S Erbas-Cakmak, S D P Fielden, U Karaca, D A Leigh, C T McTernan, D J Tetlow and M R Wilson, Science, 358, 340-343 (2017). 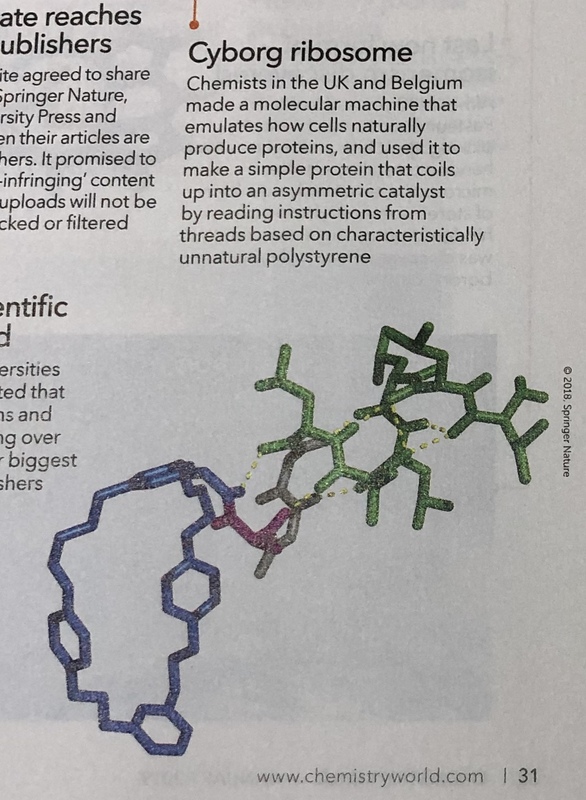 'Stereodivergent synthesis with a programmable molecular machine’, S Kassem, A T L Lee, D A Leigh, V Marcos, L I Palmer and S Pisano, Nature, 549, 374-378 (2017). 'A complementary pair of enantioselective switchable organocatalysts’, G De Bo, D A Leigh, C T McTernan and S Wang, Chem Sci, 8, 7077-7081 (2017). 'Enzyme-mediated directional transport of a small-molecule walker with chemically-identical feet’, C J Martin, A T L Lee, R W Adams and D A Leigh, J Am Chem Soc, 139, 11998-12002 (2017). 'Sequence-specific β-peptide synthesis by a rotaxane-based molecular machine’, G De Bo, M A Y Gall, M O Kitching, S Kuschel, D A Leigh, D J Tetlow and J W Ward, J Am Chem Soc, 139, 10875-10879 (2017). 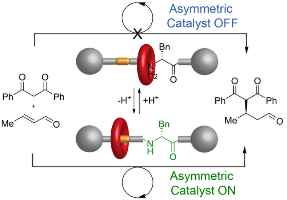 'Switching between anion-binding catalysis and aminocatalysis with a rotaxane dual-function catalyst’, K Eichstaedt, J Jaramillo-Garcia, D A Leigh, V Marcos, S Pisano and T A Singleton, J Am Chem Soc, 139, 9376-9381 (2017). 'Rotaxane formation by transition state stabilization’, G De Bo, G Dolphijn, C T McTernan and D A Leigh, J Am Chem Soc, 139, 8455-8457 (2017). 'Molecular knots’, S D P Fielden, D A Leigh and S L Woltering, Angew Chem Int Ed, 56, 11166-11194 (2017). 'Pyridyl-acyl hydrazone rotaxanes and molecular shuttles’, D A Leigh, V Marcos, T Nalbantoglu, I J Vitorica-Yrezabal, F T Yasar and X Zhu, J Am Chem Soc, 139, 7104-7109 (2017). 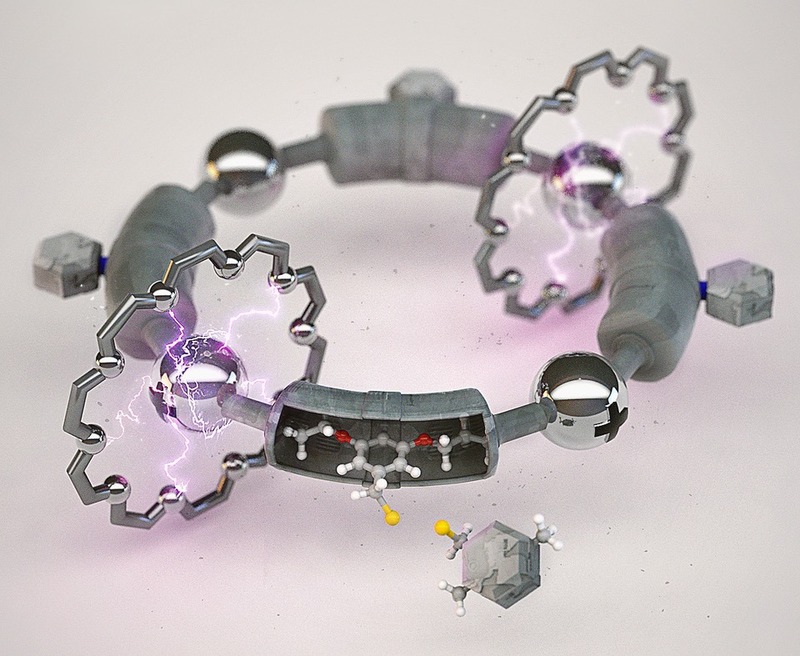 'Artificial molecular motors’, S Kassem, T van Leeuwen, A S Lubbe, M R Wilson, B L Feringa and D A Leigh, Chem. Soc. 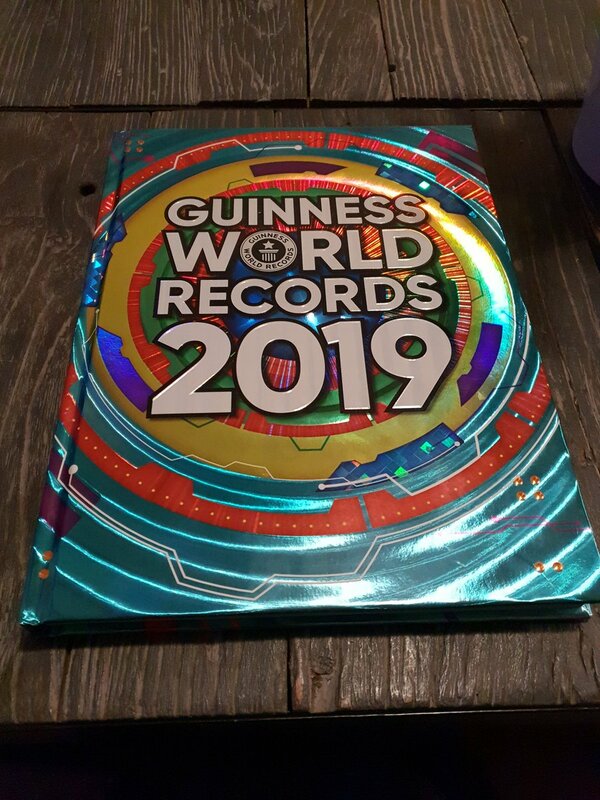 Rev., 46, 2592-2621 (2017). 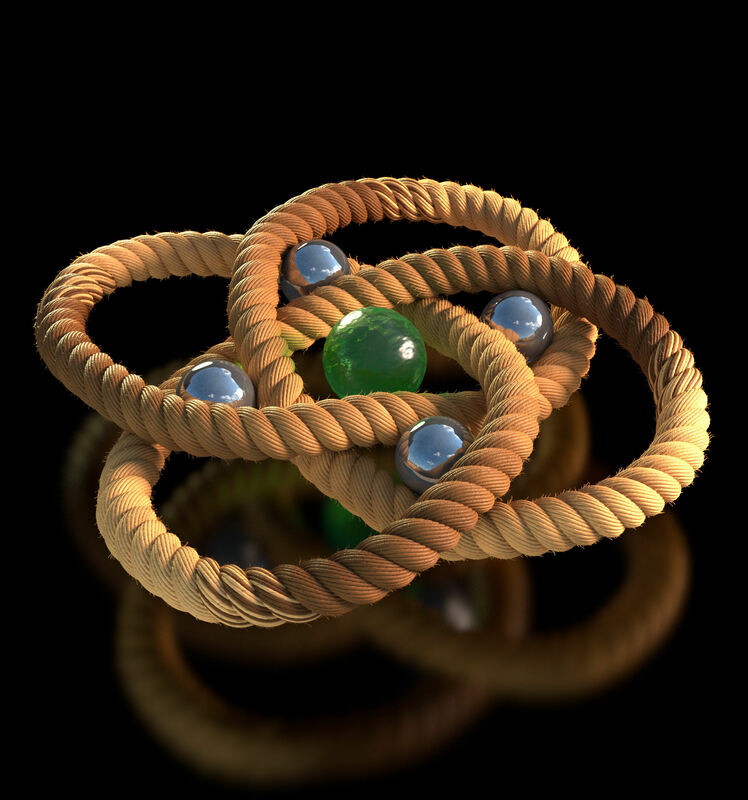 ‘Braiding a molecular knot with eight crossings’, J J Danon, A Krüger, D A Leigh, J-F Lemonnier, A J Stephens, I J Vitorica-Yrezabal and S L Woltering, Science, 355, 159-162 (2017). How it works. 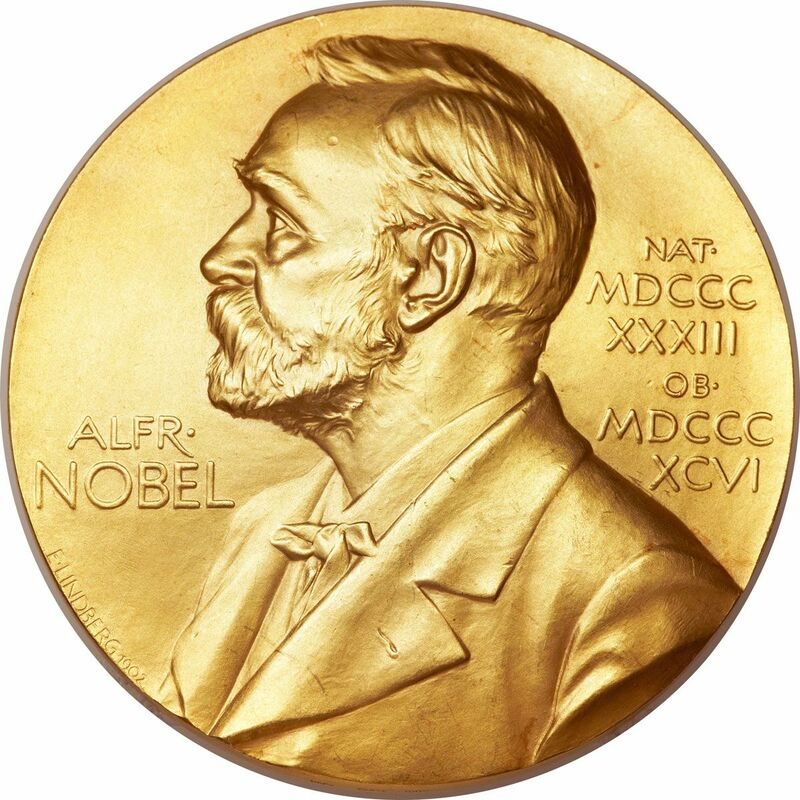 'Genesis of the Nanomachines: The 2016 Nobel Prize in Chemistry’, D A Leigh, Angew Chem Int Ed, 55, 14506-14508 (2016). 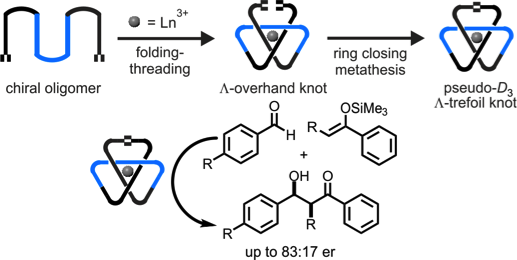 'Tying a molecular overhand knot of single handedness and asymmetric catalysis with the corresponding pseudo-D3-symmetric trefoil knot’, G Gil-Ramírez, S Hoekman, M O Kitching, D A Leigh, I Vitorica-Yrezabal, G Zhang, J Am Chem Soc, 138, 13159-13162 (2016). 'Triply-threaded rotaxanes’, J J Danon, D A Leigh, P R McGonigal, J W Ward and J Wu, J Am Chem Soc, 138, 12643-12674 (2016). ‘Allosteric initiation and regulation of catalysis with a molecular knot’, V Marcos, A J Stephens, J Jaramillo-Garcia, A L Nussbaumer, S L Woltering, A Valero, J-F Lemonnier, I J Vitorica-Yrezabal, D A Leigh, Science, 352, 1555-1559 (2016). How it works. ‘An autonomous chemically fuelled small-molecule motor’, M R Wilson, J Solá, A Carlone, S M Goldup, N Lebrasseur and D A Leigh, Nature, 534, 235-240 (2016). How it works. ‘Making the tiniest machines’, D A Leigh, in ‘Macrocyclic and Supramolecular Chemistry: How Izatt-Christensen Award Winners Shaped the Field’, p. 241-260, Ed. R. M. Izatt, John Wiley & Sons, 2016. 'Successive translocation of the rings in a rotaxane’, A M Brouwer, D C Jagesar, P G Wiering, E R Kay and D A Leigh, ChemPhysChem, 17, 1902-1912 (2016). 'Asymmetric catalysis with a mechanically point-chiral rotaxane’, Y Cakmak, S Erbas-Cakmak, and D A Leigh, J Am Chem Soc, 138, 1749-1751 (2016). 'Pick-up, transport and release of a molecular cargo using a small-molecule robotic arm’, S Kassem, A T L Lee, D A Leigh, A Markevicius and J Solá, Nature Chem, 8, 138-143 (2016). How it works. 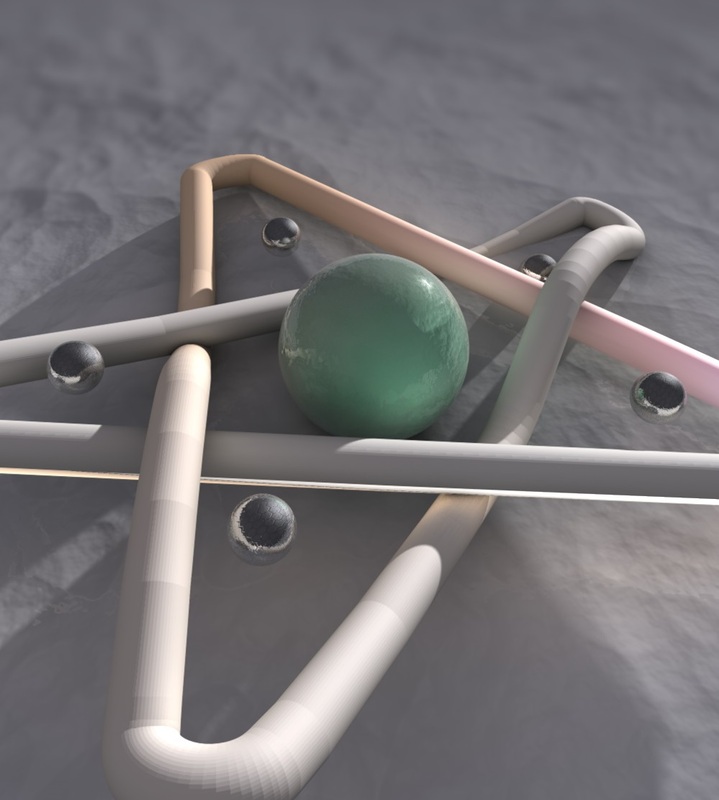 'Artificial molecular machines’ , S Erbas-Cakmak, D A Leigh, C T McTernan and A L Nussbaumer, Chem Rev, 115, 10081-10206 (2015). 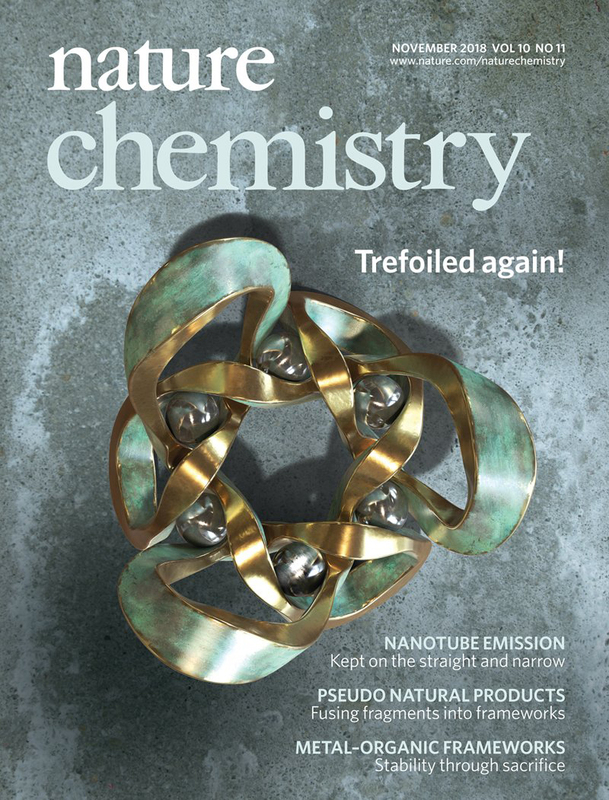 'Lanthanide template synthesis of trefoil knots of single handedness’, G Zhang, G Gil-Ramírez, A Markevicius, C Browne, I J Vitorica-Yrezabal and D A Leigh, J Am Chem Soc, 137, 10437-10442 (2015). 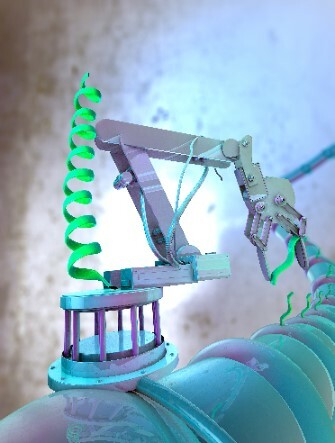 ‘Rise of the molecular machines’, E R Kay and D A Leigh, Angew Chem Int Ed, 54, 10080-10088 (2015). 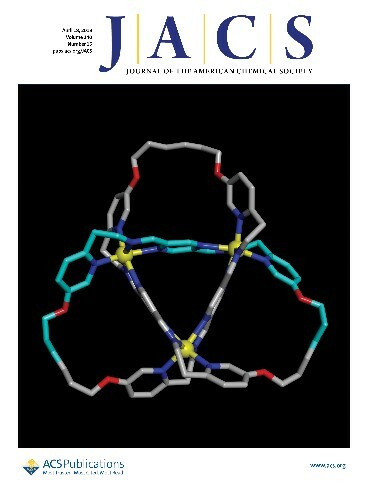 ‘Strong and selective anion binding within the central cavity of molecular knots and links’, J-F Ayme, J E Beves, C J Campbell, G Gil-Ramírez, D A Leigh and A J Stephens, J Am Chem Soc, 137, 9812−9815 (2015). 'Goldberg active template synthesis of a rotaxane ligand for asymmetric transition metal catalysis’, S Hoekman, M O Kitching, D A Leigh, M Papmeyer and D Roke, J Am Chem Soc, 137, 7656-7659 (2015). 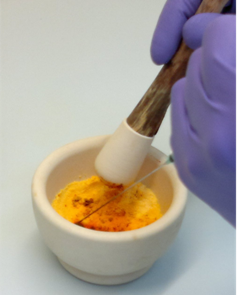 'Artificial switchable catalysts’ , V Blanco, D A Leigh and V Marcos, Chem Soc Rev, 44, 5341-5370 (2015). 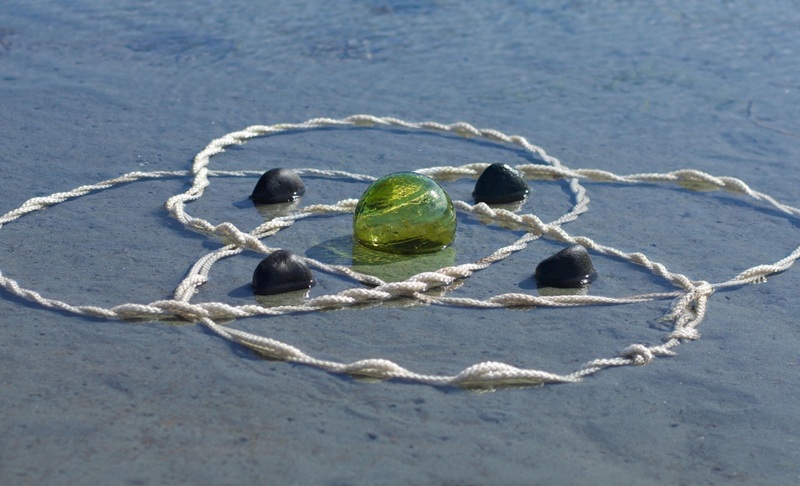 'A Solomon link through an interwoven molecular grid’ , J E Beves, J J Danon, D A Leigh, J-F Lemonnier, and I J Vitorica-Yrezabal, Angew Chem Int Ed, 54, 7555-7559 (2015). Featured on the cover of Angew Chem Int Ed. 'Catenanes: Fifty years of molecular links’ , G Gil-Ramírez, D A Leigh and A J Stephens, Angew Chem Int Ed , 54, 6110-6150 (2015). ‘A mechanically interlocked molecular system programmed for the delivery of an anticancer drug’, R Barat, T Legigan, I Tranoy-Opalinski, B Renoux, E Péraudeau, J Clarhaut, P Poinot, A E Fernandes, V Aucagne, D A Leigh and S Papot, Chem Sci, 6, 2608-2613 (2015). ‘Selecting reactions and reactants using a switchable rotaxane organocatalyst with two different active sites’, J Beswick, V Blanco, G De Bo, D A Leigh, U Lewandowska, B Lewandowski and K Mishiro, Chem Sci, 6, 140-143 (2015). 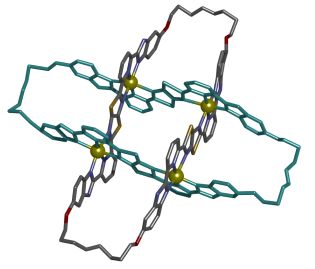 'A rotaxane-like supramolecular assembly featuring orthogonal recognition modes’, D Menozzi, D A Leigh, E Dalcanale, Asian J Org Chem, 4, 204-207 (2015). ‘Rotaxane catalysts’, D A Leigh, V Marcos and M R Wilson, ACS Catal, 4, 4490-4497 (2014). ‘A simple and highly effective ligand system for the copper(I)-mediated assembly of rotaxanes’, C J Campbell, D A Leigh, I J Vitorica-Yrezabal, S L Woltering, Angew Chem Int Ed, 53, 13771-13774 (2014). "Exploring the activation modes of a rotaxane-based switchable organocatalyst”, V Blanco, D A Leigh, U Lewandowska, B Lewandowski and V Marcos, J Am Chem Soc, 136, 15775-15780 (2014). 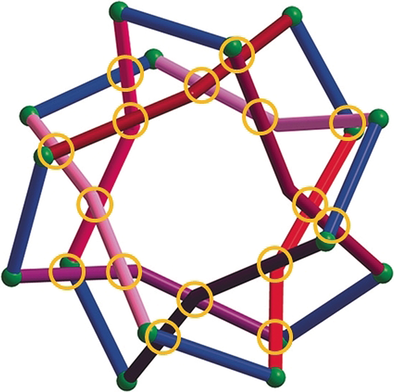 "A Star of David Catenane", D A Leigh, R G Pritchard and A J Stephens, Nature Chem, 6, 978–982 (2014). Full Article. How it works. Video. "Lanthanide template synthesis of a molecular trefoil knot" J-F Ayme, G Gil-Ramírez, D A Leigh, J-F Lemonnier, A Markevicius, C A Muryn and G Zhang, J Am Chem Soc, 136, 13142-13145 (2014). 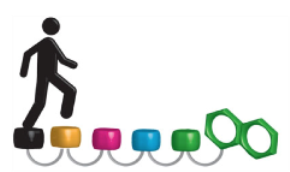 "The self-sorting behavior of circular helicates and molecular knots and links”, J-F Ayme, J E Beves, C J Campbell and D A Leigh, Angew Chem Int Ed, 53, 7823–7827 (2014). 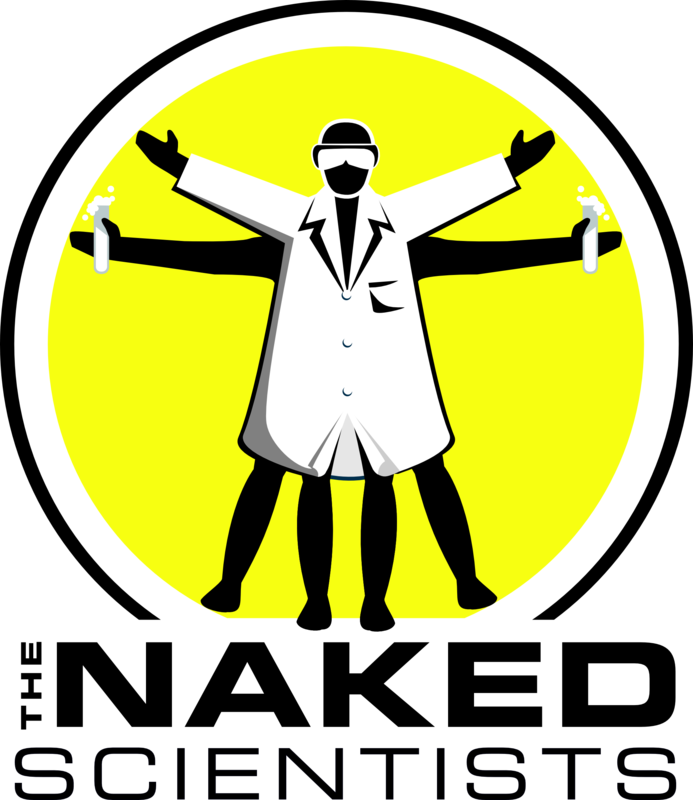 "Synthetic molecular walkers”, D A Leigh, U Lewandowska, B Lewandowski and M R Wilson, Top. Curr. Chem., 354, 111-138 (2014). 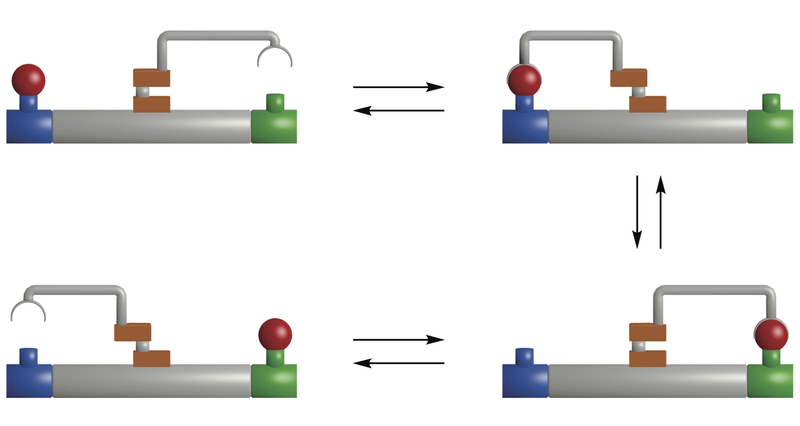 "Efficient assembly of threaded molecular machines for sequence-specific synthesis", G De Bo, S Kuschel, D A Leigh, B Lewandowski, M Papmeyer and J W Ward, J Am Chem Soc, 136, 5811−5814 (2014). "A switchable rotaxane asymmetric organocatalyst that utilizes an acyclic chiral secondary amine", V Blanco, D A Leigh, V Marcos, J A Morales-Serna, and A L Nussbaumer, J Am Chem Soc, 136, 4905–4908 (2014). 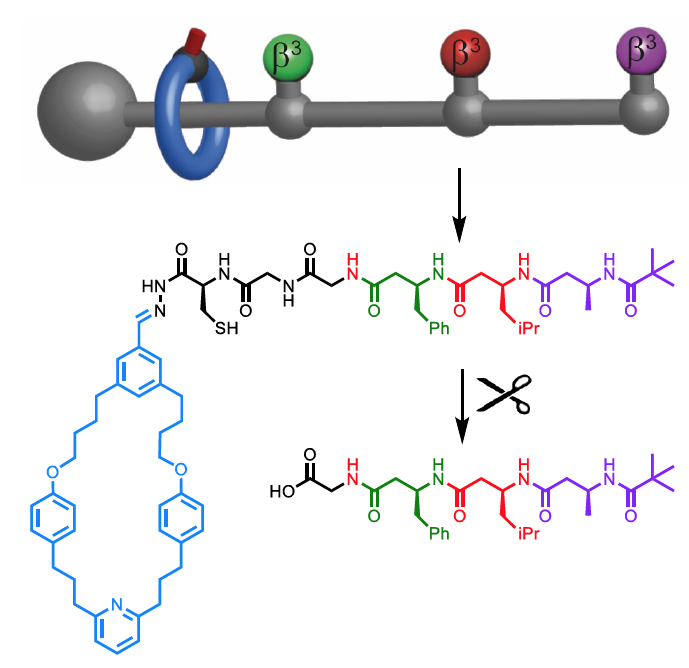 "Probing the mobility of catenane rings in single molecules", A Van Quaethem, P Lussis, D A Leigh, A-S Duwez and C-A Fustin, Chem Sci, 5, 1449-1452 (2014). "Towards metal complexes that can directionally walk along tracks: Controlled stepping of a molecular biped with a Palladium(II) foot", J E Beves, V Blanco, B A Blight, R Carrillo, D M D’Souza, D C Howgego, D A Leigh, A M Z Slawin and M D Symes, J Am Chem Soc, 136, 2094–2100 (2014). 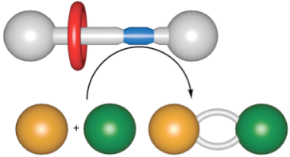 "Water lubricates hydrogen-bonded molecular machines" M R Panman, B H Bakker, D den Uyl, E R Kay, D A Leigh, W J Buma, A M Brouwer, J A J Geenevasen and S Woutersen, Nature Chem, 5, 929-934 (2013). 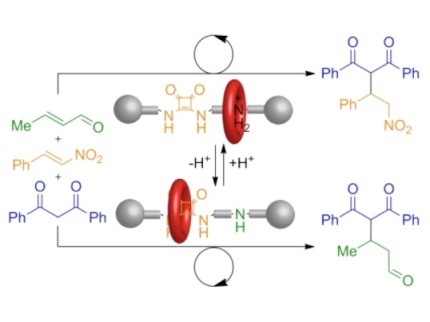 "AAAA-DDDD quadruple hydrogen bond arrays featuring NH…N and CH…N hydrogen bonds" D A Leigh, C C Robertson, A M Z Slawin and P I T Thomson, J Am Chem Soc, 135, 9939–9943 (2013). "One Dimensional Random Walk of a Synthetic Small Molecule Towards a Thermodynamic Sink", A G Campaña, D A Leigh and U Lewandowska, J Am Chem Soc, 135, 8639−8645 (2013). 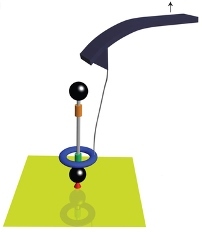 "Induction of Motion in a Synthetic Molecular Machine: Effect of Tuning the Driving Force", J Baggerman, N Haraszkiewicz, P G Wiering, G Fioravanti, M Marcaccio, F Paolucci, E R Kay, D A Leigh and A M Brouwer, Chem Eur J, 19, 5566–5577 (2013). 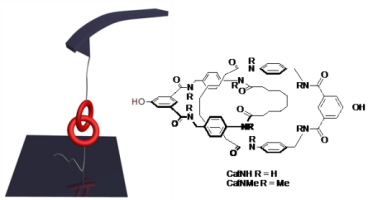 "Template synthesis of molecular knots", J-F Ayme, J E Beves, C J Campbell and D A Leigh, Chem Soc Rev, 42, 1700-1712 (2013). 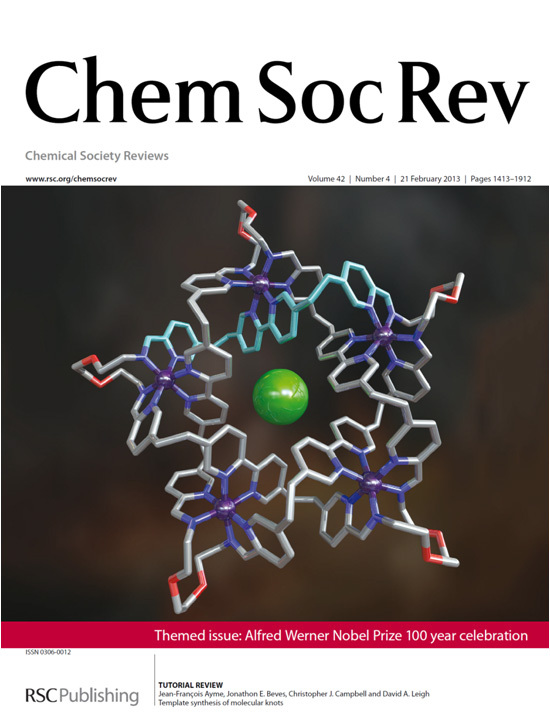 Featured on the cover of Chem Soc Rev. "Sequence-Specific Peptide Synthesis by an Artificial Small-Molecule Machine", B. Lewandowski, G. De Bo, J. W. Ward, M. Papmeyer, S. Kuschel, M. J. Aldegunde, P. M. E. Gramlich, D. Heckmann, S. M. Goldup, D. M. D’Souza, A. E. Fernandes and D. A. Leigh, Science, 339, 189-193 (2013). Full Article. 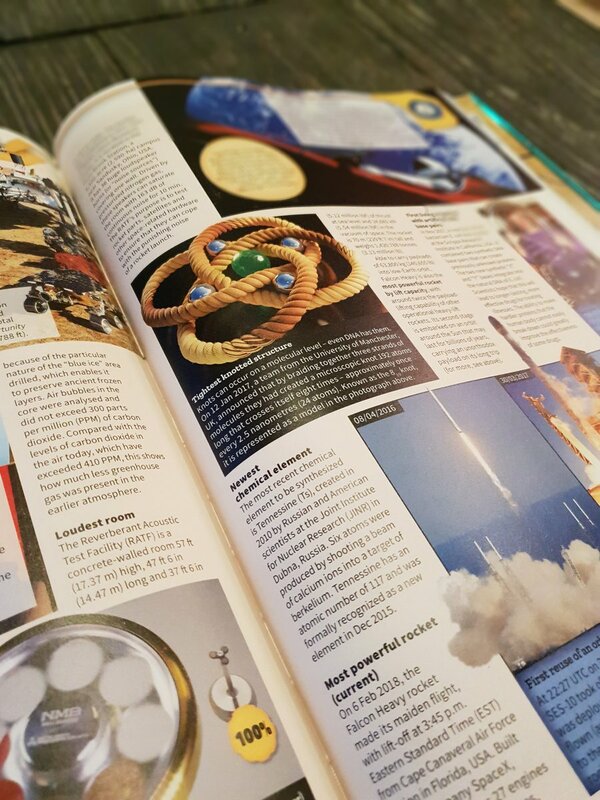 News & Views. How it works. Video. BBC Radio Manchester (Andy Crane Show, 11 Jan 2013). BBC Five Live (Nicky Campbell Show, 11 Jan 2013). BBC Radio Wales (Good Morning Wales, 11 Jan 2013). BBC World Service (Science in Action, 10 Jan 2013). RTBF - La Première (O Positif, 4 Feb 2013). 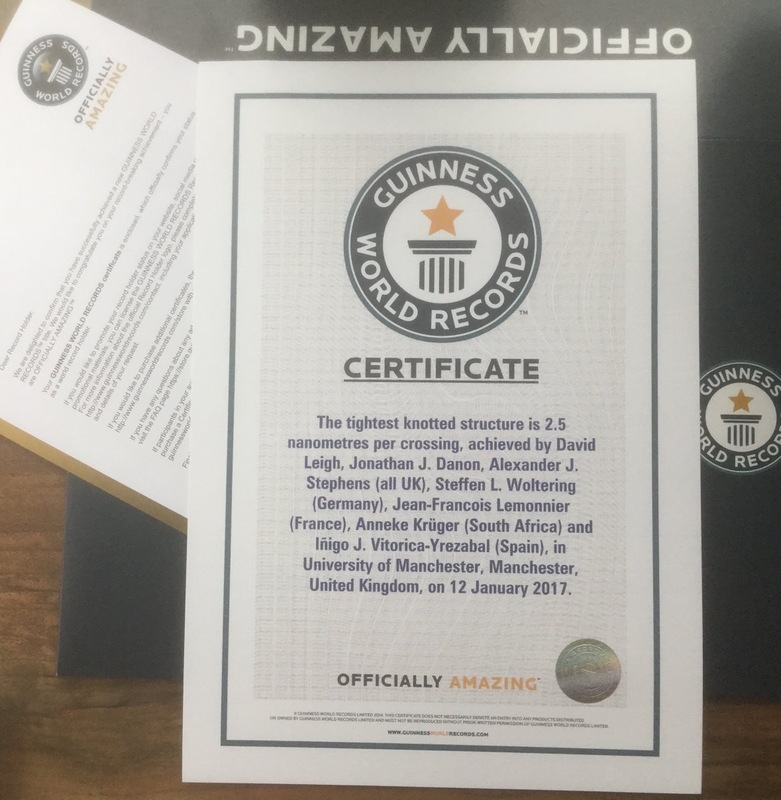 "A scalable synthesis of 5,5'-dibromo-2,2'-bipyridine and its stepwise functionalization via Stille couplings", D M D'Souza, D A Leigh, M Papmeyer and S L Woltering, Nature Protocols, 7, 2022–2028 (2012). 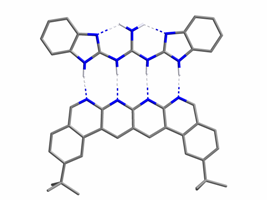 "Pentameric Circular Iron(II) Double Helicates and a Molecular Pentafoil Knot", J-F Ayme, J E Beves, D A Leigh, R T McBurney, K Rissanen and D Schultz, J Am Chem Soc, 134, 9488-9497 (2012). "A Three-Compartment Chemically-Driven Molecular Information Ratchet", A Carlone, S M Goldup, N Lebrasseur, D A Leigh and A Wilson, J Am Chem Soc, 134, 8321-8323 (2012). 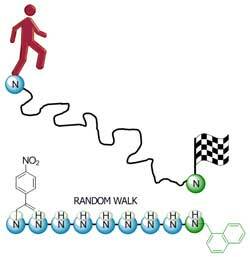 "A Small Molecule That Walks Non-Directionally Along a Track Without External Intervention", A G Campaña, A Carlone, K Chen, D T F Dryden, D A Leigh, U Lewandowska and K M Mullen, Angew Chem Int Ed, 51, 5480–5483 (2012). Featured on the cover of Angew Chem Int Ed. "Half-Rotation in a Kinetically Locked Catenane Induced By Transition Metal Ion Substitution", D A Leigh, P J Lusby, A M Z Slawin and D B Walker, Chem Commun, 48, 5826-5828 (2012). "A Rotaxane-Based Switchable Organocatalyst", V Blanco, A Carlone, K D Hänni, D A Leigh and B Lewandowski, Angew Chem Int Ed, 51, 5166-5169 (2012). "Second Generation Specific-Enzyme-Activated Rotaxane Propeptides", A Fernandes, A Viterisi, V Aucagne, D A Leigh and S Papot, Chem Commun, 48, 2083-2085 (2012). 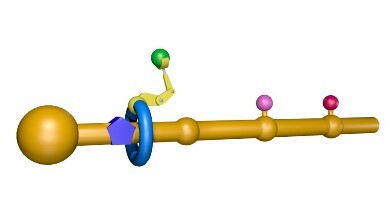 "A Synthetic Molecular Pentafoil Knot", J-F Ayme, J E Beves, D A Leigh, R T McBurney, K Rissanen & D Schultz, Nature Chem, 4, 15-20 (2012). Full Article. News & Views. How it works. Hologram. Featured on the front cover of Nature Chemistry issue 1, 4 (2012). "Time-Resolved Vibrational Spectroscopy of a Molecular Shuttle", M R Panman, P Bodis, D J Shaw, B H Bakker, A C Newton, E R Kay, D A Leigh, W J Buma, A M Brouwer and S Woutersen, Phys Chem Chem Phys, 14, 1865-1875 (2012). Featured on the front cover of Phys Chem Chem Phys issue 6, 14 (2012). "Strategies and Tactics for the Metal-Directed Synthesis of Rotaxanes, Knots, Catenanes and Higher Order Links", J E Beves, B A Blight, C J Campbell, D A Leigh and R T McBurney, Angew Chem Int Ed, 50, 9260-9327 (2011). "Active Metal Template Synthesis of a Molecular Trefoil Knot", P E Barran, H L Cole, S M Goldup, D A Leigh, P R McGonigal, M D Symes, J Wu and M Zengerle, Angew Chem Int Ed, 50, 12280-12284 (2011). Featured on the cover of Angewandte Chemie, issue 51, 2011. "A Single Synthetic Small Molecule that Generates Force Against a Load", P Lussis, T Svaldo-Lanero, A Bertocco, C-A Fustin, D A Leigh and A-S Duwez, Nature Nanotech, 6, 553-557 (2011). "Phosphorus-Based Functional Groups as Hydrogen Bonding Templates for Rotaxane Formation", R Ahmed, A Altieri, D M D'Souza, D A Leigh, K M Mullen, M Papmeyer, A M Z Slawin, J K Y Wong and J D Woollins, J Am Chem Soc, 133, 12304-12310 (2011). "Sulfur-Containing Amide-Based Rotaxanes and Molecular Shuttles", A Altieri, V Aucagne, R Carrillo, G J Clarkson, D M D'Souza, J A Dunnett, D A Leigh and K M Mullen, Chem Sci, 2, 1922-1928 (2011). 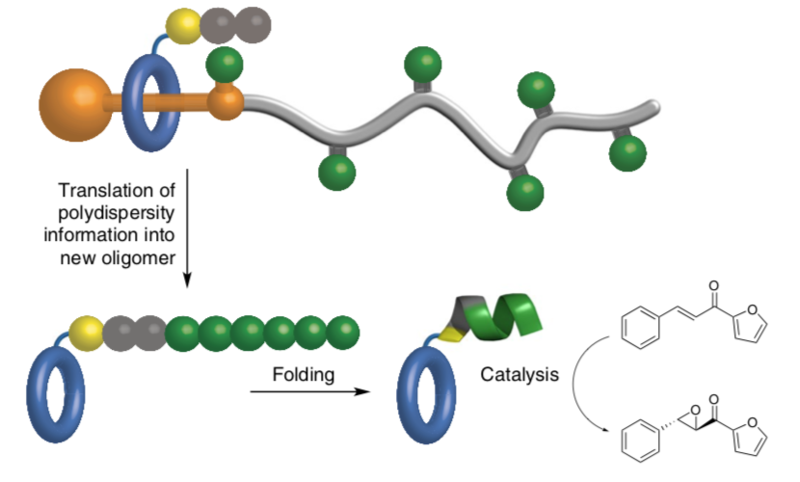 "En Route to a Molecular Sheaf: Active Metal Template Synthesis of a Rotaxane with Two Axles Threaded through One Ring", H M Cheng, D A Leigh, F Maffei, P R McGonigal, A M Z Slawin and J Wu, J Am Chem Soc, 133, 12298-12303 (2011). "IR Spectroscopy on Jet-Cooled Isolated Two-Station Rotaxanes", A M Rijs, E R Kay, D A Leigh and W J Buma, J Phys Chem A, 115, 9669-9675 (2011). 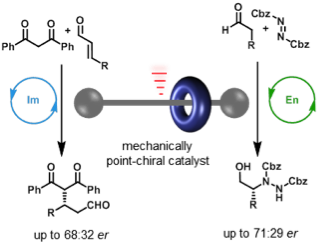 "Bimodal Dynamics of Mechanically Constrained Hydrogen Bonds Revealed by Vibrational Photon Echoes", P Bodis, S Yeremenko, J Berná, W J Buma, D A Leigh and S Woutersen, J Chem Phys, 134, 134504 (2011). "Walking Molecules", M von Delius and D A Leigh, Chem Soc Rev, 40, 3656-3676 (2011). 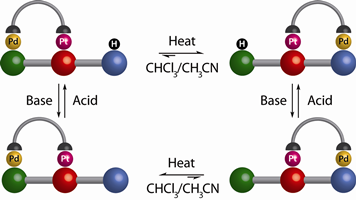 "An AAAA-DDDD Quadruple Hydrogen-Bond Array", B A Blight, C A Hunter, D A Leigh, H McNab and P I T Thomson, Nature Chem, 3, 244-248 (2011). 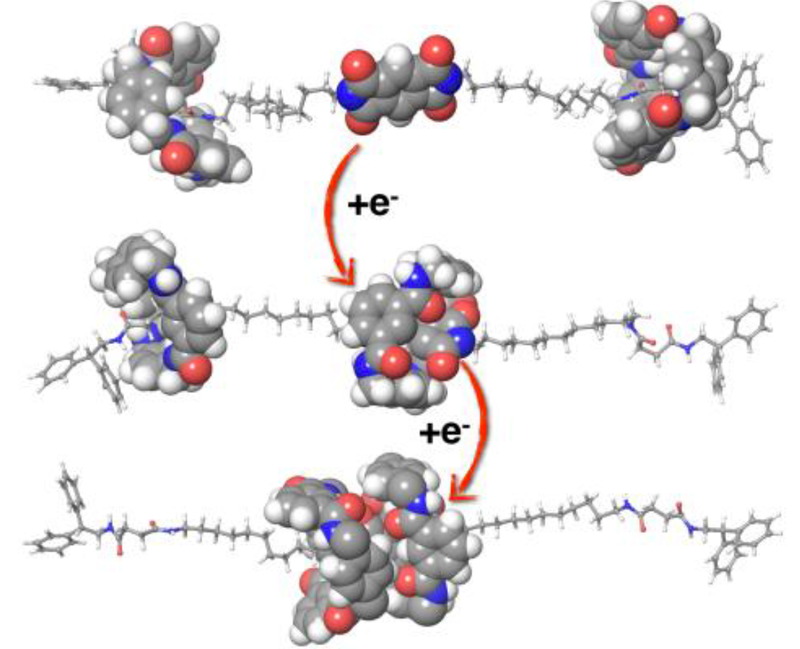 "Light-Driven Transport of a Molecular Walker in Either Direction along a Molecular Track", M J Barrell, A G Campaña, M von Delius, E M Geertsema and D A Leigh, Angew Chem Int Ed, 50, 285-290 (2011). Featured on the front cover of Angewandte Chemie, issue 1, 2011.